Montmartre is a legendary part of Paris – a maze of twisting cobbled streets, trees, squares, that leaves you breathless, and not just from the steep climb. 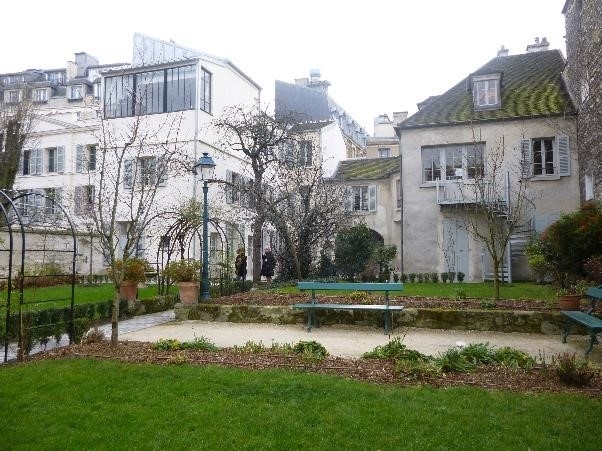 Tucked away discreetly in a side street behind the Sacré-Coeur, the Musée de Montmartre keeps the memory of the area’s heyday in the late 19th and early 20th centuries alive. 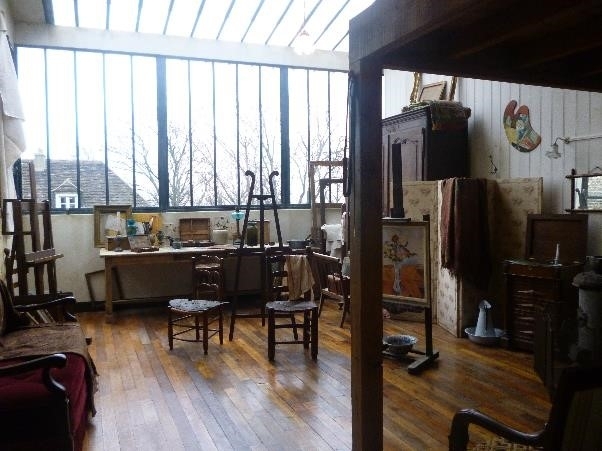 Set in beautiful gardens overlooking the Montmartre vineyards, the museum’s collections are displayed in the house of artist Suzanne Valadon and her son Maurice Utrillo, a building which played host to the most dynamic and innovative artists, painters, and composers of the day. A zinc-topped bar counter, a battered piano with yellowed keys, photographs, paintings, and sketches all conjure up a time when Montmartre was the centre of an extraordinary creative ferment, and a lodestone for artists from across Europe, who would arrive with no money and no French, confident of a generous Montmartrean welcome, with kindness and credit freely given. Alongside the Moulin Rouge, two iconic cabarets loom large in the museum’s collections: the Lapin Agile and the Chat Noir. Lithe, mischievous, and living by their wits, the nimble rabbit and black cat which form the Montmartre menagerie perfectly encapsulate the spirit of the area. Opened in 1855, the Lapin Agile still offers a nightly dinner and cabaret show 160 years later, although the atmosphere is somewhat different. In the late 19th century, you would step into a spicy fug of tobacco smoke and sweat, the aniseed burn of absinthe hitting the back of your throat. Ears ringing with the plaintive wheeze and rasp of an accordion, and the sound of bawdy, full-throated laughter, you would take a seat at one of the sticky tables, scored with the initials of your predecessors. You never knew who you’d be rubbing shoulders with: wealthy Parisians slumming it for a night, artists’ models, dancers, political radicals, ladies of the night, local eccentrics of every stripe, penniless poets with inkstained fingers or hungry artists still spattered with paint, come from unheated attics and studios to warm themselves with drink and friendship, and to listen to the chansons réalistes of poets such as Aristide Bruant. As their name suggests, these were songs which told the truth about Paris and the seamy underbelly of its nightlife, in a distinctive slang. They were tales of poverty, prostitution, violence, heartbreak, hopeless love, but also bawdy, innuendo-laden or just downright filthy sing-a-longs. They’re emblematic of gouaille – a uniquely Parisian trait, a blend of bolshy straight-talking, cheek, and bravado, with an underlying hint of vulnerability. It’s tempting to sanitize or romanticize the sordid reality of life in Montmartre, but these songs express the extremes of existence there – all human emotions and situations, from joy to misery, expressed with equal intensity. Montmartre has retained its strong sense of identity: its inhabitants are still defiant outsiders and unrepentant eccentrics, helping each other out and fighting to preserve their traditions. Looking down from the gardens of the museum and imagining summer evenings heavy with the smell of ripening grapes and raucous with the din of the Lapin Agile, it’s easy to fool yourself into hearing the clack and swoosh of the windmills which used to dot the Montmartre hillside – and feeling the breeze of anarchy. 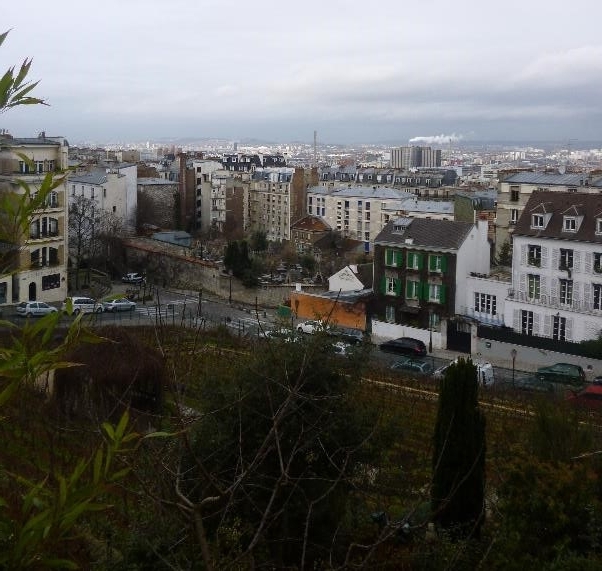 … here’s a flavour of Montmartre’s cultural output during its heyday. A larger than life figure, Guillaume Apollinaire was an experimental poet and the father of Surrealism. In his collections Alcools (1913) and Calligrammes (1918), he uses words which are simple individually, but puts them together in surprising combinations. He plays with the layout of his poems on the page to form verbal flowers or fireworks. A particular favourite of mine is Le Pont Mirabeau (here in the original French, with English translations, and musical French versions). A modern take on the area, but which has an unmistakeably quirky Montmartrean charm. The director Jean-Pierre Jeunet lives in Montmartre and is a familiar face in its various restaurants and bars. I’m a 3rd year French student at St John’s, currently on an Erasmus study exchange at the École Normale Supérieure in Paris. I have been known to give the odd rendition of a chanson réaliste on my accordion.